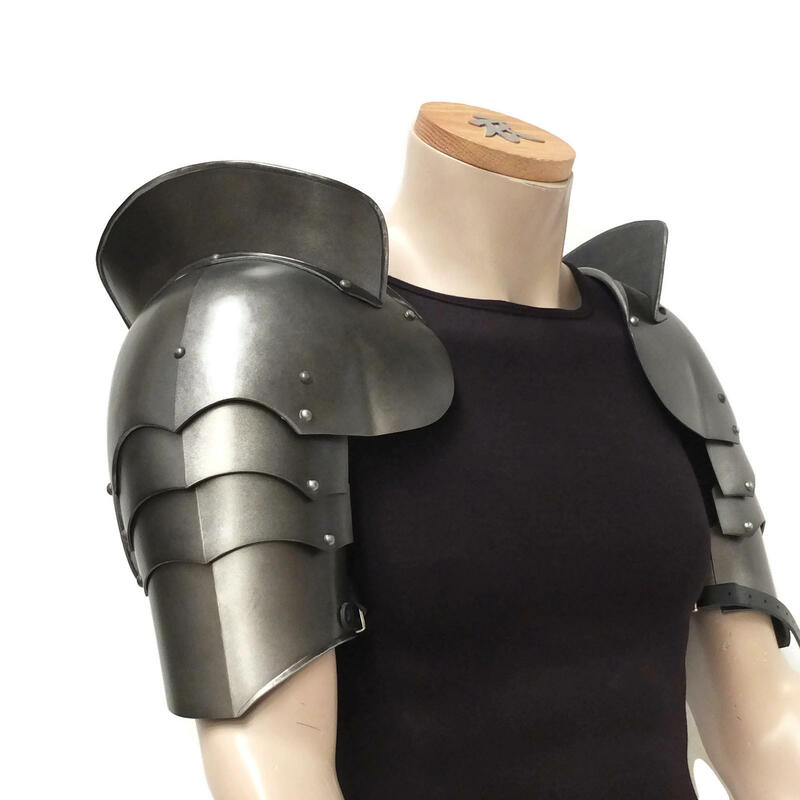 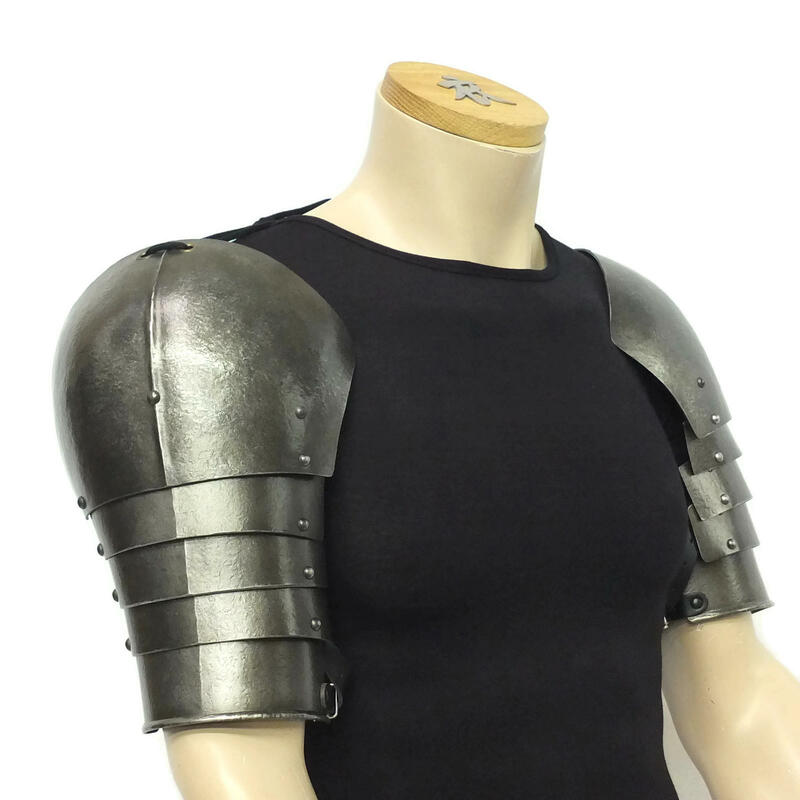 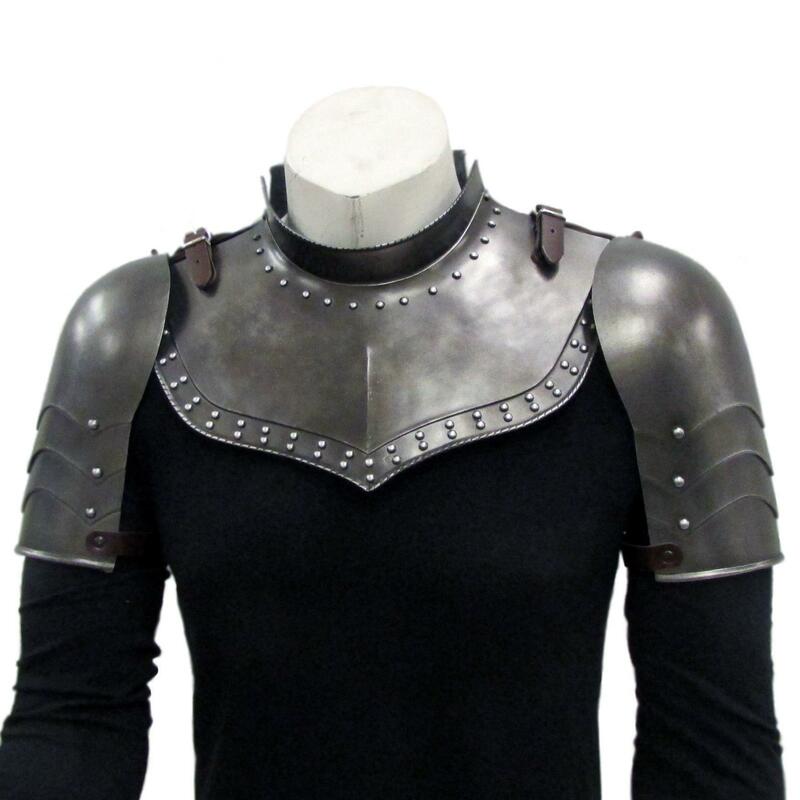 Polyurethane (PU) shoulder and neck armour. 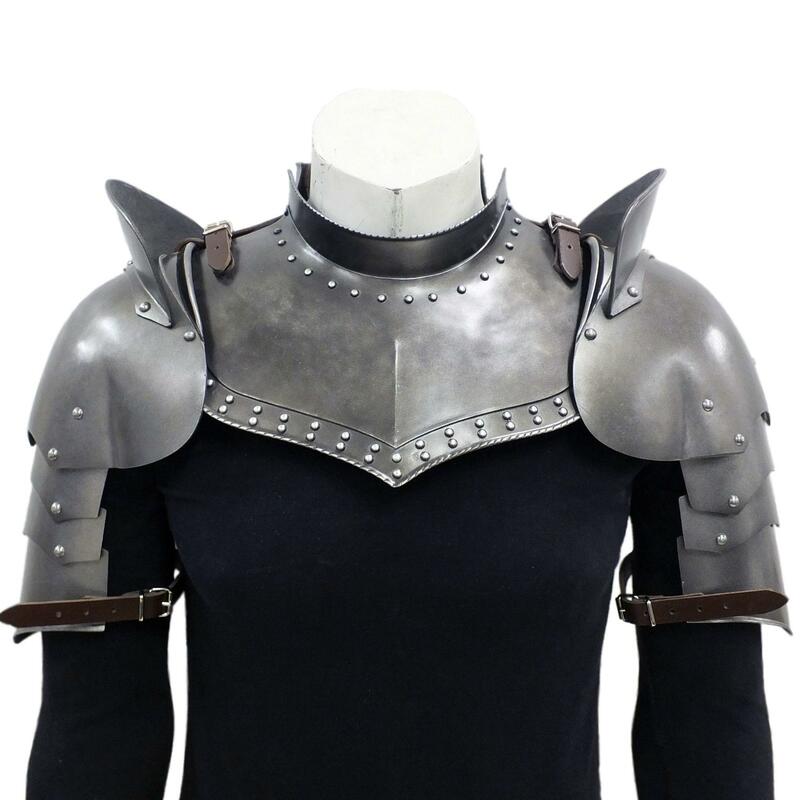 Pic 1- Articulated Pauldrons with haute piece. 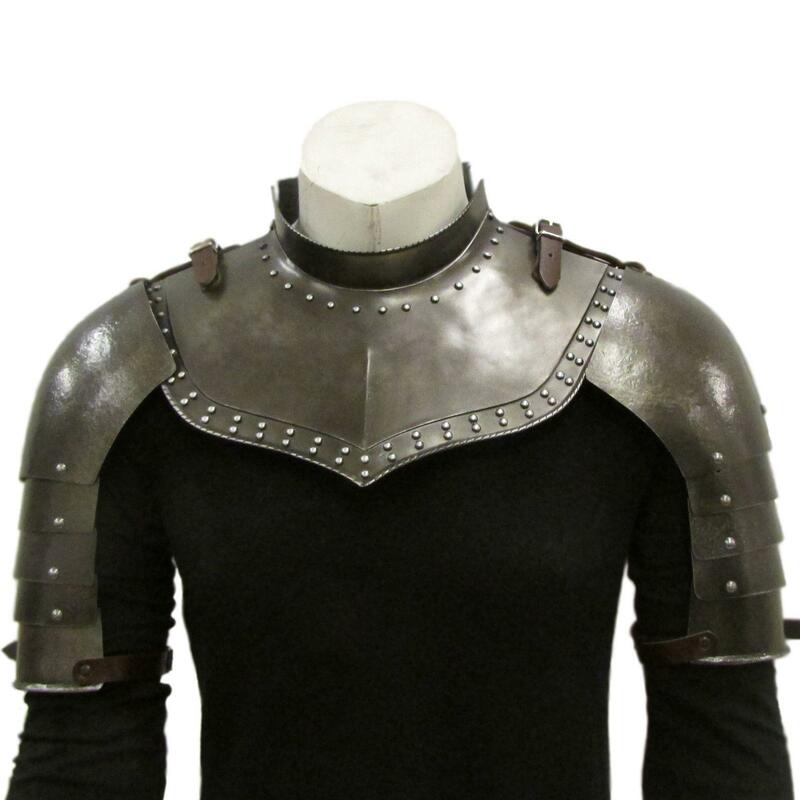 Gorget set with a choice of shoulder armour options. 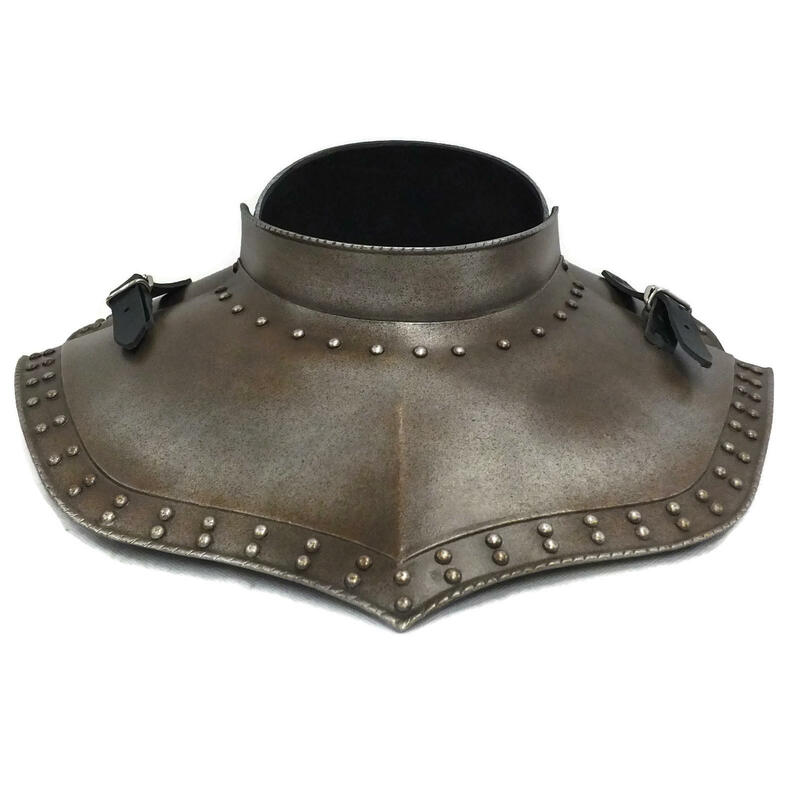 Gorget is available with or without fixed collar. 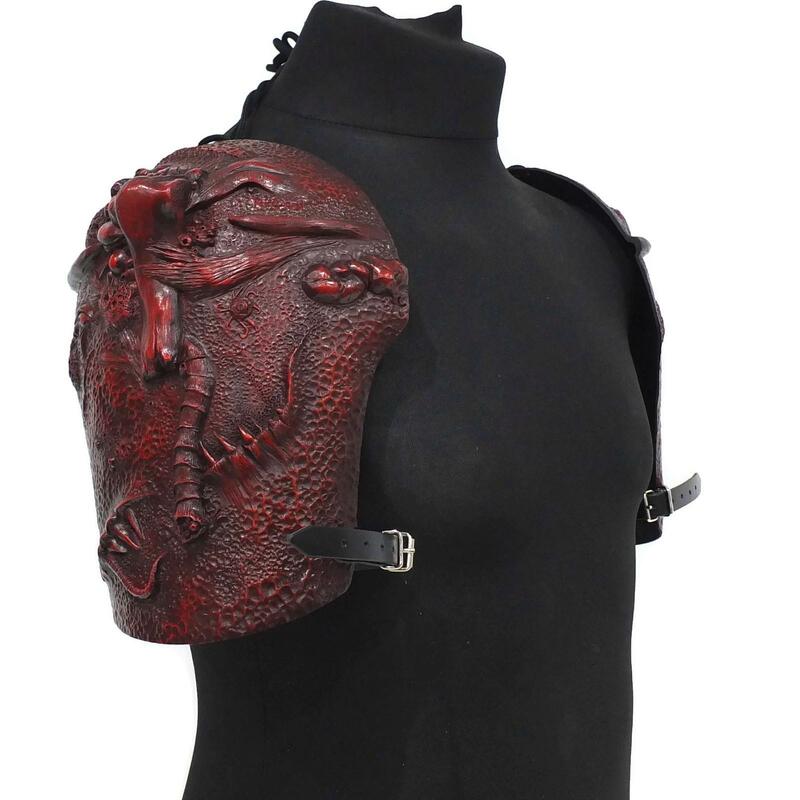 All items can also be purchased individually.